Rails resources for surviving in the deep end? I’m currently working in a large codebase that includes a Rails app. I’m not really looking for a ‘starting from scratch, here’s how you make a blog’ kind of thing. Ideally I’m imagining something that has good, annotated examples of semi-complex controller files, that explains in-line what before_action... does etc. Any thing that helped Rails click for you will be appreciated though! 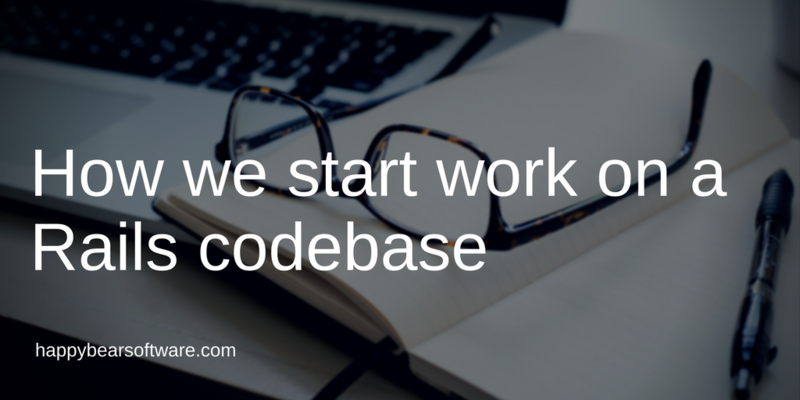 What are your first steps when looking at a new codebase?. look at db/schema.rb - this is a full overview of the database schema, used to build/rebuild the database structure of the app. look at config/routes.rb. This is probably the most important file for understanding how the app works. this can be backed up by running bin/rails routes on the command line, which will print every route in the app. Good reason for doing this: in the routes file, there’s a shorthand resources that can be used, which tells Rails to automatically generate index, single, create, edit, and delete routes for an endpoint; checking the routes in the CLI allows to actually see all of those. Each endpoint will have a corresponding controller file, where the actions are defined - index(), single() etc. If you’re lucky, there will be tests - check those early on, if there is actual test coverage then that could be really helpful. This is excellent, Dan, thanks!